Edging closer towards writing a dissertation simply means that you are about to bid farewell to your long yet fruitful academic journey. The point of this paper is to showcase your skills and capacity to conduct research in your chosen discipline, and present the results through an original piece of content that will provide value for the academic and scientific community. Who would want to end their academic career on a low after putting such an effort through the years? That is the reason every student wants to learn about the steps that provide for a productive dissertation. Here’s an experience-based, step-by-step, practical guide to take you through planning, writing, and presenting your dissertation. What problem is your dissertation going to tackle? Why is it a problem for the research, academic, and scientific community you’ll belong to? Why is it important for you to find a solution? How are you going to search for the answers? Make sure that you keep your proposal short and concise. Make a timeline for the research stage and try to keep a step ahead of your timeline. Find the right resources for your research. Make sure that the source is credible by double-checking it since not everything you read on internet is true. Organize your resources, keep a written check list of what you have accomplished, and what is yet to be achieved. Prepare a basic outline that will make writing easier. You need to expose your assumptions and expectations of the final results in the introduction part. Provide a review for the research process and the most important acknowledgements you’ve come across within your literature review section. Try to utilize the research methodologies according to the nature of your dissertation. Conclude your dissertation by connecting it to the introduction part. Do not skip this all important step just because you find it boring. Follow these simple steps while editing and proofreading. While editing, structure your sentences to add a spirit to your paper. While editing, make sure you reduce the volume of affluent sections and clarify them as much as possible while holding your grip tightly on the conciseness of your work. Check your paper in depth, correct or remove the errors, and try to use a software or tool for proofreading your entire work. 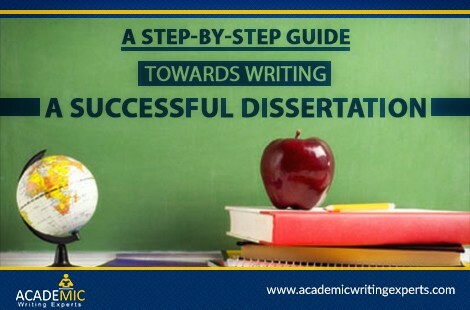 We assure that if you manage to incorporate these steps then you are destined to deliver a flawless dissertation. However, if you still need any help, you can visit Academic Writing Experts anytime you want for outstanding support and professional consultancy.